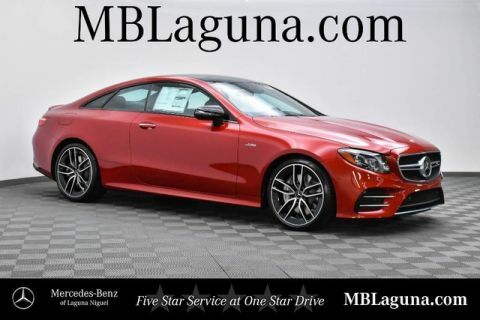 Mercedes-Benz of Laguna Niguel is offering you this New 2019 Mercedes-Benz E-Class AMG® E53 4MATIC® Coupe at a competitive price and welcomes you into our world-class dealership to test drive the vehicle of your dreams and experience the very best in selection and service. 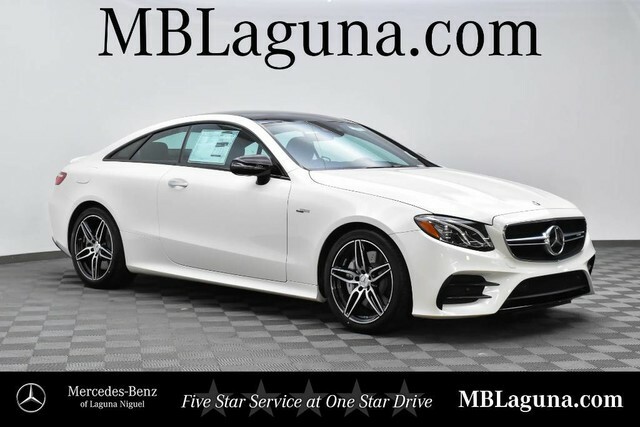 Loaded with innovation and refinement, our 2019 Mercedes-Benz E-Class AMG® E53 4MATIC® Coupe is a masterpiece of intelligent innovation shown proudly in Diamond White Metallic! Powered by a Twin Turbo 3.0 Liter V6 that offers 396hp while connected to a durable 9 Speed Automatic transmission helps you reach 60mph in just 4.5 seconds. AMG® Dynamic Select allows this All Wheel Drive to be driven according to your mood plus is balanced for performance and refinement. 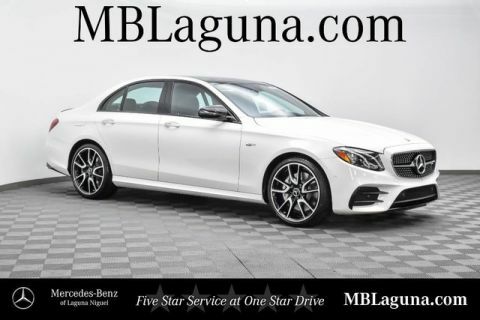 Sleek and strong, our AMG® E53 delivers sculpted elegance with its distinct grille, AMG® bodywork, and beautiful wheels.